Dr Louise Rose holds the TD Nursing Professorship in Critical Care Research based at Sunnybrook Health Sciences Centre and is an Associate Professor at the Lawrence S. Bloomberg Faculty of Nursing at the University of Toronto, Canada. 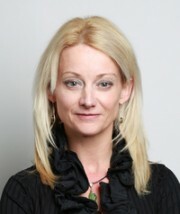 She is a PhD prepared nurse with an active research program and over 85 peer-reviewed publications focused on improving outcomes and experience of the ventilated patient in diverse settings including the intensive care unit, emergency department, specialized weaning centre, long-term care, and the community. Dr Rose has many years of clinical experience in various critical care settings in four countries. Dr Rose also is the Research Director for the Provincial Centre of Weaning Excellence at Toronto East General Hospital, and an adjunct scientist at the Institute for Clinical Evaluative Sciences, West Park Healthcare Centre, and the Li Ka Shing Institute of St Michael’s Hospital, Toronto, Canada.